A political appointee will become the No. 2 lawyer at the Environmental Protection Agency, in a change announced Thursday aimed at ensuring that someone committed to President Donald Trump’s agenda is in charge. The move comes as news reports indicate parts of the federal bureaucracy–including some who had key jobs during the previous administration–have rebelled against the elected president. 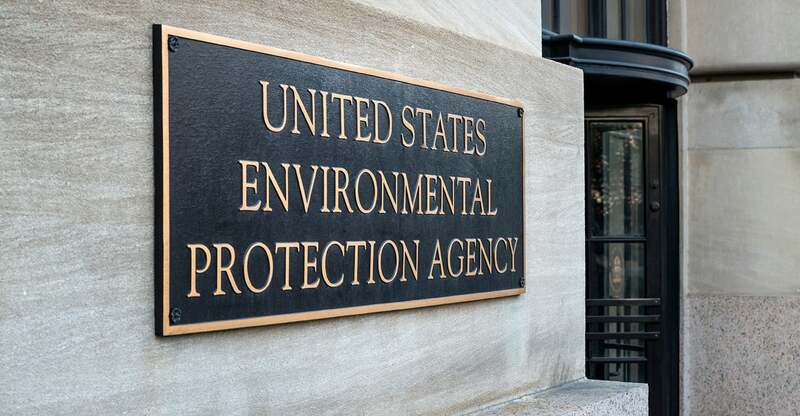 The change in who serves as EPA’s deputy general counsel also comes as the agency seeks more uniformity in legal interpretations from its regional offices across the country, The Daily Signal has learned. In a memo Thursday to all EPA staff, General Counsel Matthew Leopold announced he had named David Fotouhi as principal deputy general counsel. Fotouhi, a political appointee, will replace Kevin Minoli, a career EPA employee who was at the agency during the Obama administration. EPA Administrator Scott Pruitt resigned in July amid questions about his ethics raised by Trump’s political opponents and the media even as Pruitt followed through on the Trump administration’s deregulation agenda. Minoli, who called for independent investigations of Pruitt, announced Aug. 21 that he would leave the EPA in late September to join a Washington law firm. E&E News identifiedthe law firm as Alston & Bird LLP. The Senate has been slow to confirm Trump’s executive branch appointments ever since his inauguration in January 2017. The Senate didn’t confirm Leopold as the EPA’s general counsel for nearly a year. If he were to vacate the top legal position, the presence of Fotouhi would ensure that the acting general counsel would be someone else who is committed to the goals Trump was elected to carry out. Some politicized career bureaucrats with a different agenda have rebelled against the Trump administration’s goals across government agencies, as has been widely reported. The EPA has been the site of some of the administration’s biggest reforms. Historically, the second spot in the EPA general counsel’s office has gone to a career employee, although that’s not the case among other federal government departments. While new within OGC [the Office of the General Counsel], having a political appointee serve as the principal deputy is consistent with the structure used by the Office of Air and Radiation and the Office of Water (at times), as well as the Department of Justice, Department of Interior, Department of Commerce, and Department of Agriculture. The change advances Trump policies and the goals of Acting EPA Administrator Andrew Wheeler, EPA spokesman John Konkus told The Daily Signal in a statement. We are advancing the president’s agenda, while at the same time strengthening the senior career leadership ranks. This move is in line with Acting Administrator Wheeler’s efforts to establish a standard regional office structure that aligns with headquarters, as the new career deputy position being created will coordinate with and manage the regional counsels to ensure legal consistency in the agency’s actions across the nation. Political appointees in the U.S. government serve at the pleasure of the president, or under the politically appointed agency head or Cabinet secretary. These employees may be fired at will. Conversely, career federal employees have civil service protections that make it more difficult to fire them, and typically serve under multiple administrations. As you know, David has been a deputy general counsel for a year and a half. In this new role, he will continue to oversee issues managed by the Water Law Office and Solid Waste and Emergency Response Law Office and also take on new supervisory roles related to all the deputy general counsels and political staff. Fotouhi, a graduate of Harvard Law School and Vanderbilt University, began working for the general counsel’s office in March 2017. He previously was in private practice at the Washington law firm of Gibson, Dunn and Crutcher beginning in 2011. He clerked for Judge Raymond Gruender of the Missouri-based U.S. Court of Appeals for the 8th Circuit. On a second front, Leopold’s memo addressed the decentralized nature of the EPA’s regional offices. An office in Seattle, Washington, for example, could have a different legal interpretation of a dispute than an office in Kansas City, Missouri, had regarding the same matter. Cozad will serve on an acting basis, he said. Cozad is a 29-year EPA veteran who began worked in the counsel’s office in 1989 under President George H. W. Bush. A graduate of the College of William and Mary Law School, he previously served as an environmental lawyer for the Justice Department. The post EXCLUSIVE: Trump Tightens Grip on EPA Amid Resisting Bureaucracy appeared first on The Daily Signal.